We often doubt ourselves in any journey, wondering if we are wasting time and money, asking ourselves when should we just quit. In this talk, you’ll find out the answer. Certified security system specialist from SIEMENSE. Certified Advanced Communicator GOLD (ACG) from Toastmaster international. 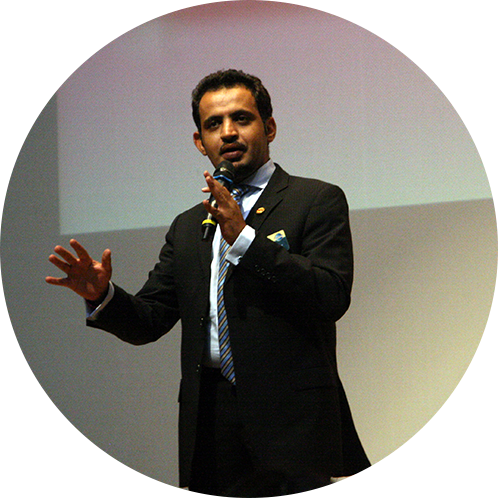 Mohammed Joined Toastmasters in 2009 with Northpark Toastmasters Club, and was able to win the world championship of public speaking® in 2015 in Las Vegas Nevada. After beating 30,000 other competitors from all around the world. He is the first Saudi Arab and Muslim to ever win this title since it is launched 91 years ago. And he is also the Saudi Arabia Humorous speech champion in 2015.